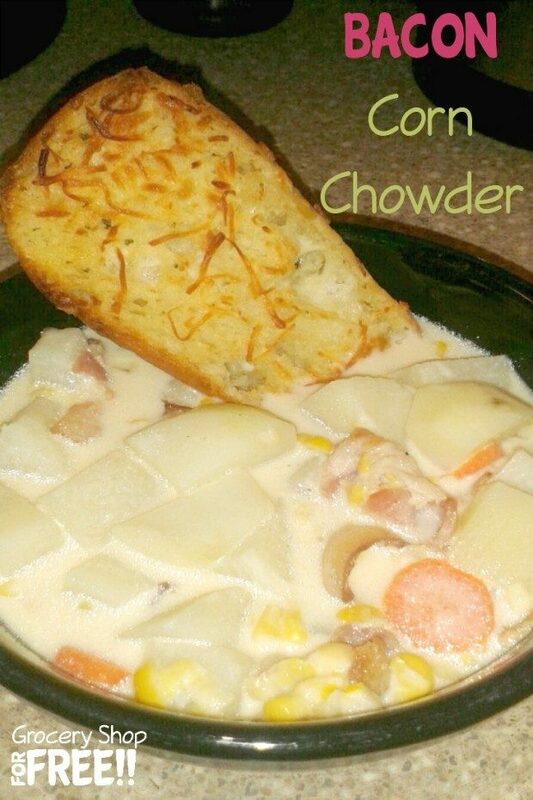 You are here: Home / Recipes / Dinner / Bacon Corn Chowder Recipe! Our Son and DIL and baby are living with us for a short time, which has been great being so close to the baby in her first year of life! My DIL works for us on this blog and Hubby’s, she’s been doing a great job. She loves to cook and last night she tried a new recipe and put her own spin on it: Bacon Corn Chowder! I have never had chowder before, (we are still on our Sugar Free Journey and there is sugar in the creamed corn so I didn’t eat a bowl, but, I snuck a small taste) and this was really good! Very much a comfort food! She served hers with garlic toast and it was perfect for dipping! Enjoy!